I am thrilled to announce that, in line with the publication of Rag and Bone, artist Mila May has created a graphic novel-style version of the events of chapter 2. Which are, let me say, quite sinister events. Ahem. 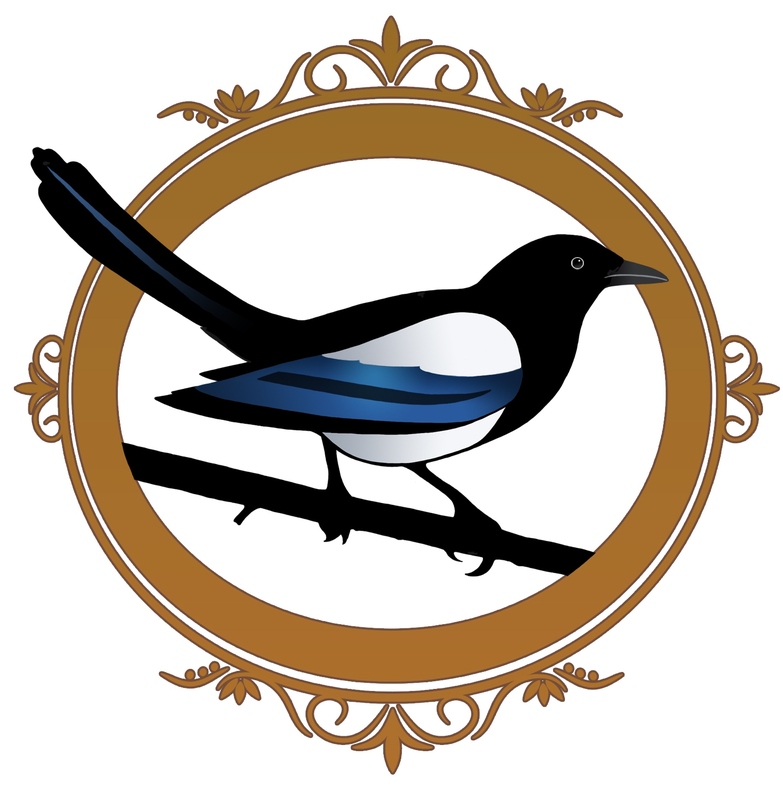 So we’re in the Victorian London of my Charm of Magpies series. Ned buys and sells used paper from his store next door to a rag and bottle shop. Crispin’s life is slightly more complicated. 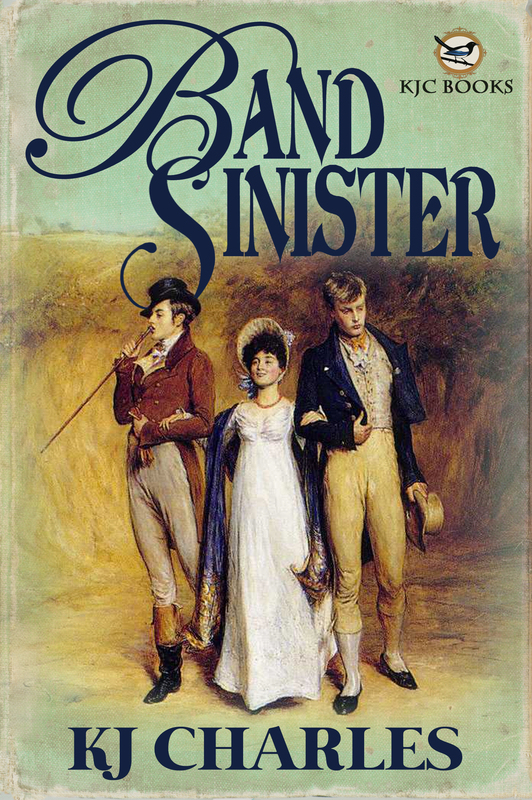 He was trained to use his magical powers via a pen made from his own fingerbone that writes in his own blood–a dangerous, unlawful practice. He could be arrested for it, but that’s the least of his problems: a blood pen can steal your soul. Luckily, after the events of ‘A Queer Trade’, Crispin’s been learning to manage his magic the proper way, without using the illegal blood pen. So everything’s absolutely fine now. Right? Without further ado: I give you Mila May’s Rag and Bone. Rag and Bone is out now from Samhain. Mila May is available for character art, covers and more. Her attention to detail slays me every time. 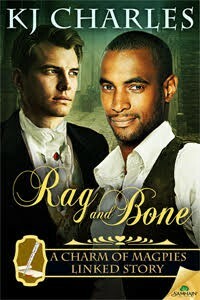 Rag and Bone will be my last book with Samhain, as they are very sadly closing their doors. 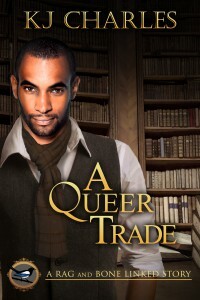 They have been a wonderful publisher to work with, taking on my first book out of the slush pile at a time when Victorian paranormal m/m romance wasn’t even a subgenre yet. My editor Anne Scott has been endlessly helpful and supportive; all my covers with Samhain are glorious, from Lou Harper, Angela Waters, Kanaxa, and Erin Dameron-Hill. I will miss them quite painfully and they are a massive loss to the romance community and to publishing. I’m glad Rag and Bone made it out under their aegis. They are still in business, just not taking on new titles as they wind down, so check them out here. 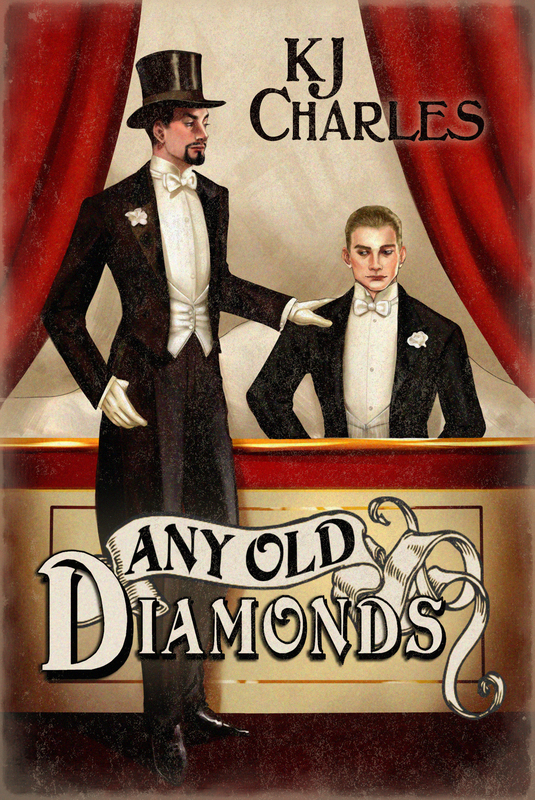 http://kjcharleswriter.com/wp-content/uploads/2015/06/Rag-and-Bone-small-1.jpg 300 200 KJ Charles http://kjcharleswriter.com/wp-content/uploads/2015/06/header3.jpg KJ Charles2016-02-29 14:33:082016-02-29 14:33:08Rag and Bone: the graphic novel!